SOUTH OZONE PARK, Queens (WABC) -- An NYPD officer is facing upgraded charges after an alleged drunk-driving crash in Queens early Sunday that killed one woman and left her sister critically injured. The accident happened at 4 a.m. on the Van Wyck Expressway southbound at Rockaway Boulevard in South Ozone Park. 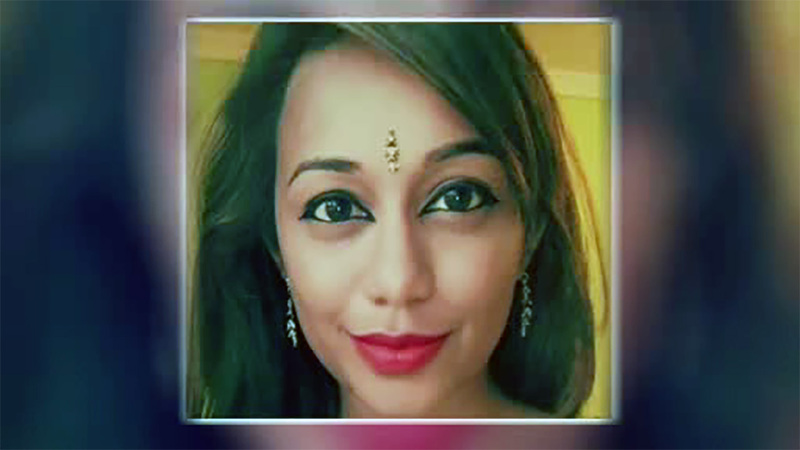 Investigators say 32-year-old Neville Smith, who was off-duty at the time, slammed into the rear of a Honda, killing 22-year-old Vanessa Raghubar. Smith had been facing DWI and assault charges, but is now now charged with vehicular manslaughter and criminally negligent homicide. Maria Raghubar, 21, and boyfriend Justin Harricharra were also hurt in the crash. "Drinking and then driving is a deadly combination," District Attorney Richard Brown said. "The defendant, a police officer bound to enforce the law, is now accused of breaking the law and with deadly consequences. An innocent woman, just 22 years old, is dead. The others in the vehicle with her were also injured." Bail was set at $300,000 bond or $250,000 cash, and Smith is due back in court on May 11. If convicted, he faces a maximum of seven years in prison. Raghubar's relatives spoke to Eyewitness News earlier this week. "She's was the most beautiful, loving, caring, understanding person I ever had in my life," aunt Esther Mongul said. The sisters, described as closer than twins, were heading home from celebrating Maria's birthday. "My daughter was such a sweet child," mom Janice Perry said tearfully. "My daughter was so educated. She had a big future ahead of her. And that someone would just take her life is wrong. The cop was wrong." Maria Raghubar remains in critical condition and has reportedly spent much of Monday in surgery, as doctors desperately try to save her life. "We have to keep our hopes high and pray to God that she survives it," Perry said. "We just don't know." Harricharra, who was in the back seat, suffered brain, back and spinal injuries.